The birth of Griffin was quite the unique birth. Not only was he a surprise gender baby, after two big sisters, but he was a HBA2C. What does that even mean, you ask? 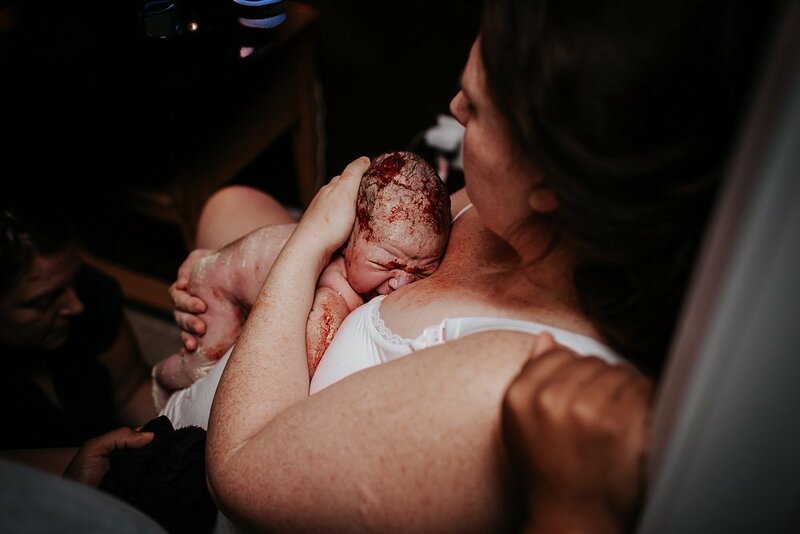 Well, it means he was a home birth after two cesareans, and to say mom rocked that labor and birth is an understatement. 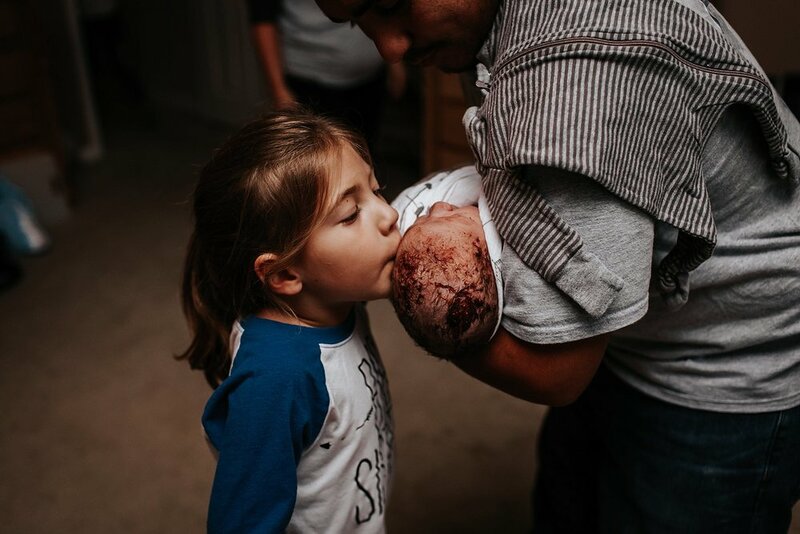 Griffin was born the weekend Hurricane Harvey hit and his family drove from the Corpus Christi area to give birth at Jessica's mom's house. I got a call from Aaron, Jessica's husband, letting me know that Jessica was in early labor and they would keep me posted as time went on. I asked him to let me know when they contacted the midwife so I could make sure I would be on my way around this time. Not only was I nervous about the wind and rain, but these babies are sometimes so unpredictable I was not interested in missing anything. I arrived to their house around noon as was invited in to make myself at home. 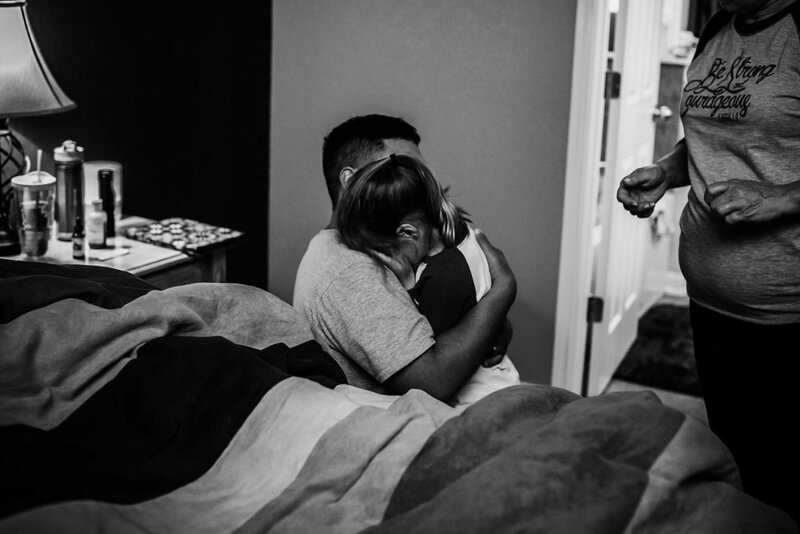 I headed upstairs to the room Jessica was laboring in and she had her arms wrapped around Aaron as she breathed through contractions and Aaron recited words of affirmation. 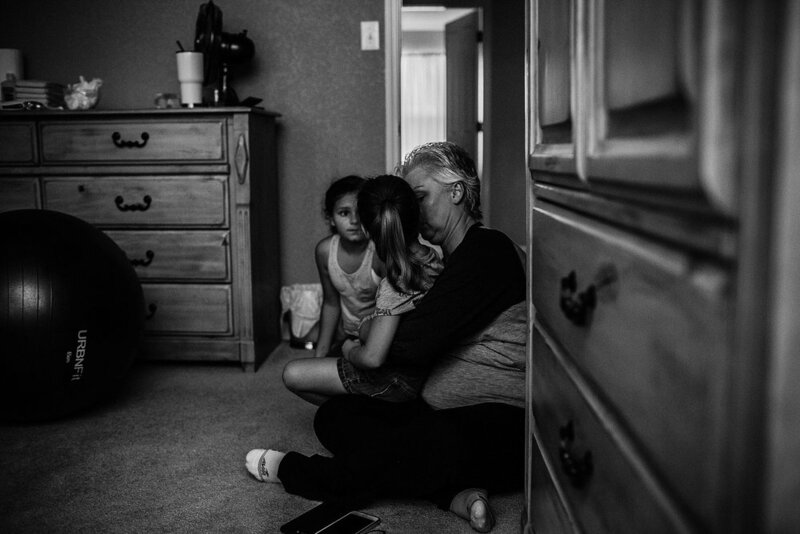 She quickly got into the mindset of not being able to do it anymore but Aaron continued to reassure her of her capabilities and how hard she has worked for these moments. Shortly after my arrival Jennifer (midwife) arrived and checked on Jessica and Griffin. 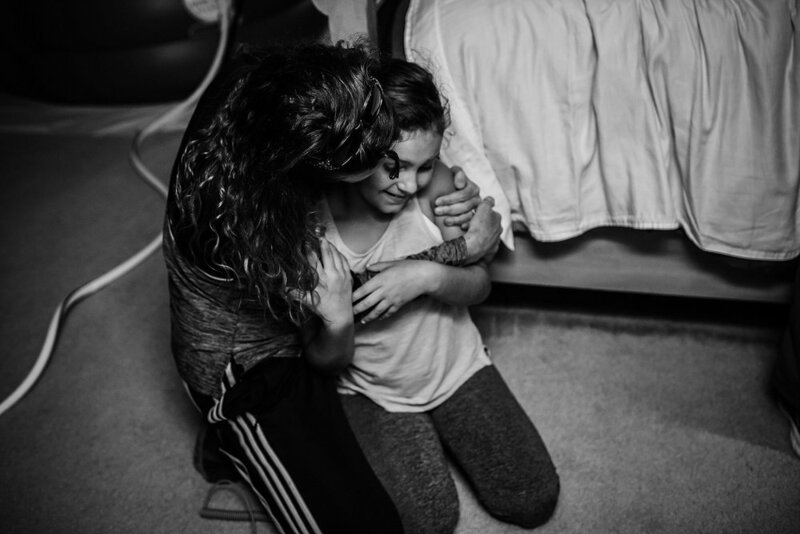 Griffin wasn't happy in certain positions, so Jennifer moved Jessica around to ensure that she was in a position that would make Griffin happy again, otherwise a hospital transfer may have been in the cards. 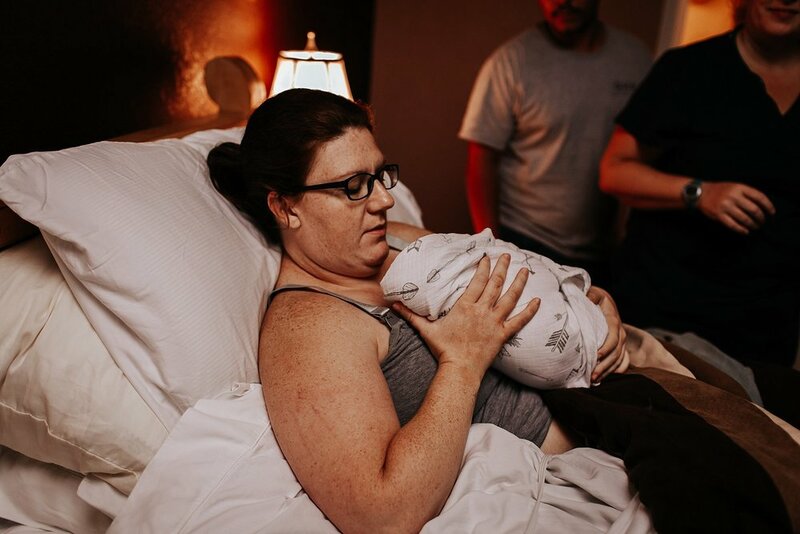 The ideal birth scenario was that Jessica have a water birth, but sometimes you have to roll with the punches and do whatever is necessary to have a good way to monitor baby and mama. 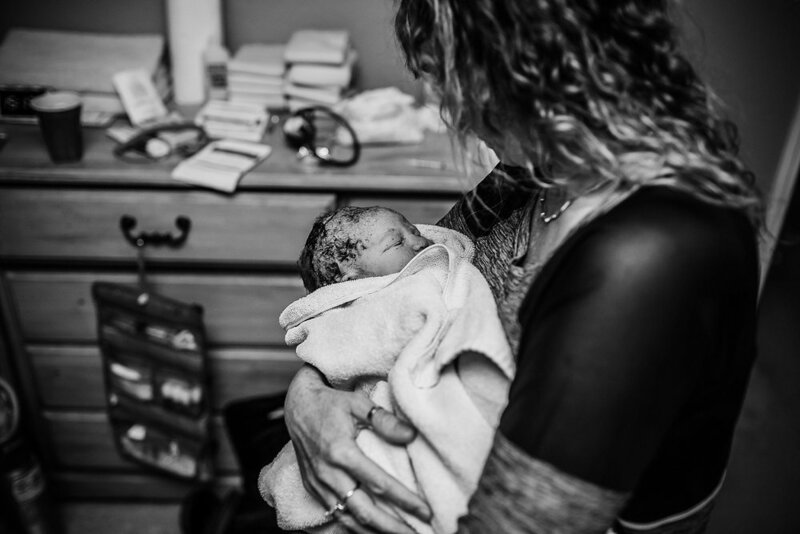 After Jessica labored on the bed some she moved to the birthing stool and in what seemed like a matter of minutes, Griffin was crowning. 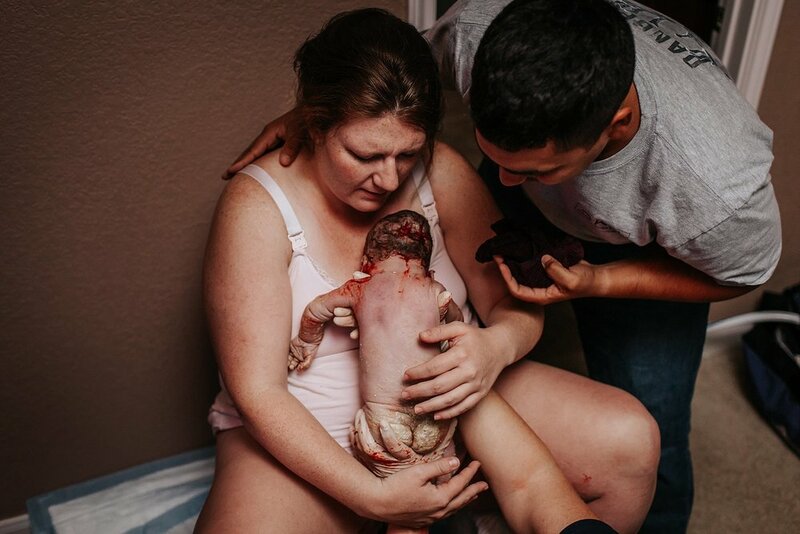 Cam and Kenzie came into the room to witness the miracle of birth with their grandmas and you could feel the love and emotion beaming through them as they witnessed their mother do one of the most intense things she will ever have to do. 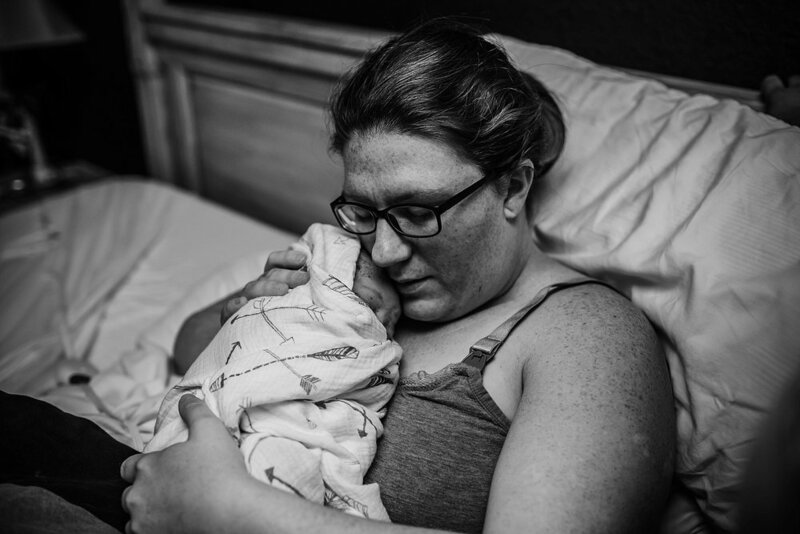 Griffin was born at 2:09 PM on August 26th, 2017 and was immediately brought up to Jessica's chest. Aaron exclaimed how she did it and tears fell from everyones eyes. After loving on Griffin for a few minutes, mom and baby were both moved to the bed. Jennifer waited for the cord to stop pulsing before she clamped it and Aaron cut the cord that connected Griffin to his mama for so long. 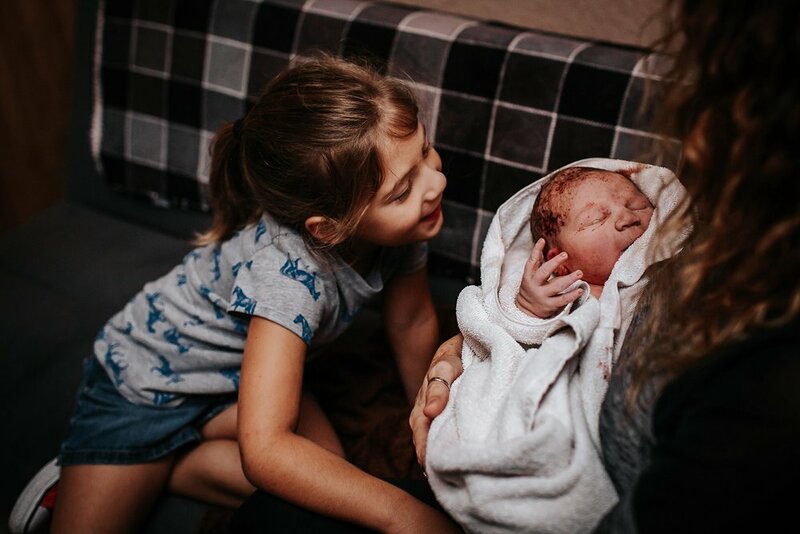 Once the cord was cut, Aaron took Griffin to meet his big sisters (at this time gender was still a surprise) while Jennifer and Erika (second midwife) made sure that Jessica was doing okay. Griffin got to meet his sisters and grandmas and we went out of the room for a little while to let Jessica rest. Once Jessica got a little bit of rest in we went back into the room where she told us the gender and the excitement on everyones faces was out of this world. Finally, a boy after two beautiful girls! Jennifer weighed and measured Griffin - 9lbs 4oz and 21" long - while the family watched his newborn exam in awe of this new little bundle. 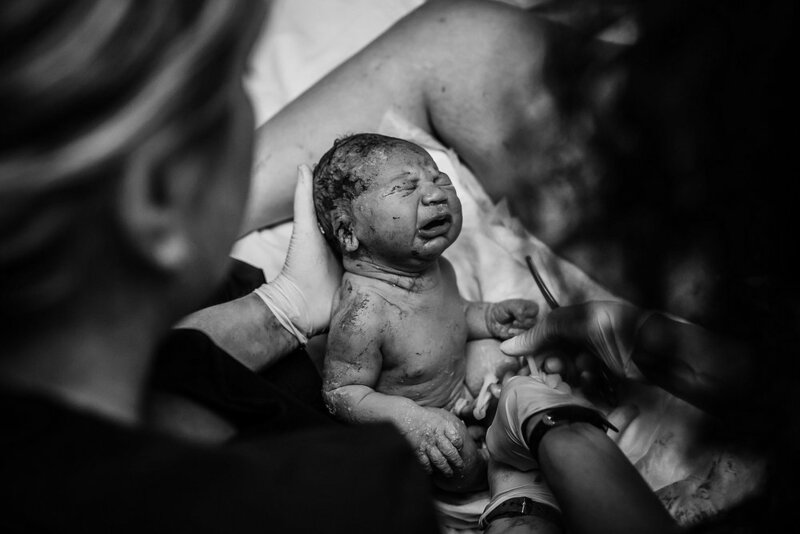 It was so amazing to see and know that a mama can safely birth her baby at home after two cesareans. With the right support, love, guidance and knowledge it is possible. The weeks leading up to Griffins birth Jessica and I talked about her home birth, finally getting it and the excitement we both shared over her birth. 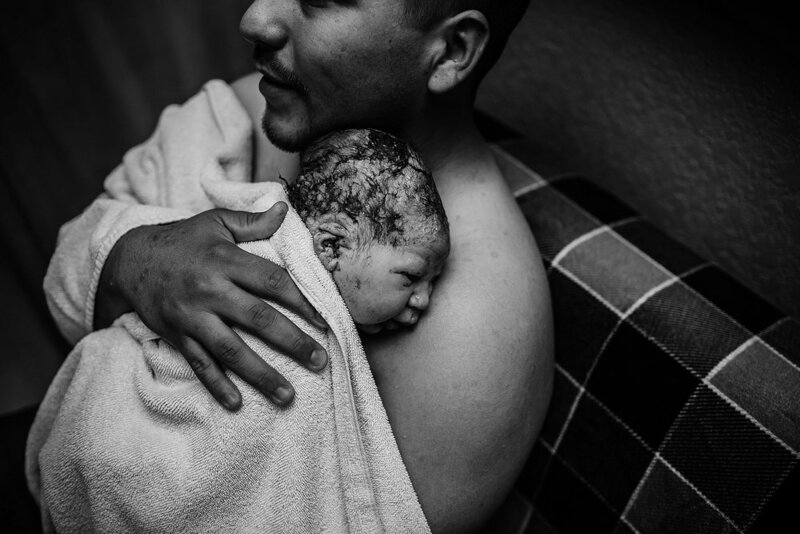 It was quite an honor to be there capturing the love and expansion of a new family.